You are here: Home / Panel of Neutrals / Patricia M. Watson, Esq. LEGAL EXPERIENCE: Patricia M. Watson has been practicing law for thirty-three years, focusing her practice primarily in the areas of family law and personal injury. After being a personal injury attorney for several years, she was drawn to family law mediation in 1995 because she believed her innate sense of fairness and empathy would be particularly suited to parties who wished to avoid traditional litigation. Her background as a litigator afforded her an understanding of how the adversarial process can be counterproductive, particularly in the area of family law. Pat also believed that mediation provided a more cost effective, less stressful and compassionate means of resolving disputes. 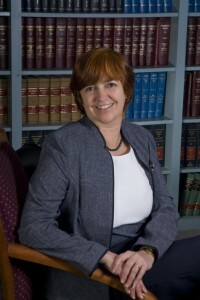 OTHER PROFESSIONAL EXPERIENCE AND ASSOCIATIONS: She is certified by the Massachusetts Counsel on Family Mediation as a Family Mediator, a Pro-Bono Conciliator for the Essex Superior Court and a Member of the Massachusetts Council on Family Mediation. Ms. Watson is a member of the Massachusetts Bar, as well as the Essex County Bar Association (former Executive Board member) and the Newburyport Bar Association (President, 1997).